Calling all super spies! It’s time to put your skills to the test in the K.C. Undercover Hollywood Spy-Away Sweepstakes presented by Darn Yard. If you are the lucky grand prize winner, Disney Channel and Darn Yard will send you and 3 guests on a 3 day / 2 night trip to Los Angeles where you will get to meet Zendaya. You will also receive a Fashion Angels Darn Yarn prize pack. Plus, 5 first prize winners will also receive a Darn Yarn prize pack. You can enter by texting YARN to DISNEY (347639) or you can enter for free by mailing your full address and name to K.C. Undercover Hollywood Spy-Away Sweepstakes Presented By Darn Yarn, c/o Ventura Associates, ATTN: BW, 60 East 42nd Street, Suite 650, New York, NY 10165. Your mission is simple to have a super awesome time. But stay cool and don’t blow your cover! The first prize consists of a Fashion Angels Darn Yarn Prize Pack which include a Monster Hat Kit, an Infinity Scarf Kit, a Bow Headband Kit and a Pom Scarf Kit. 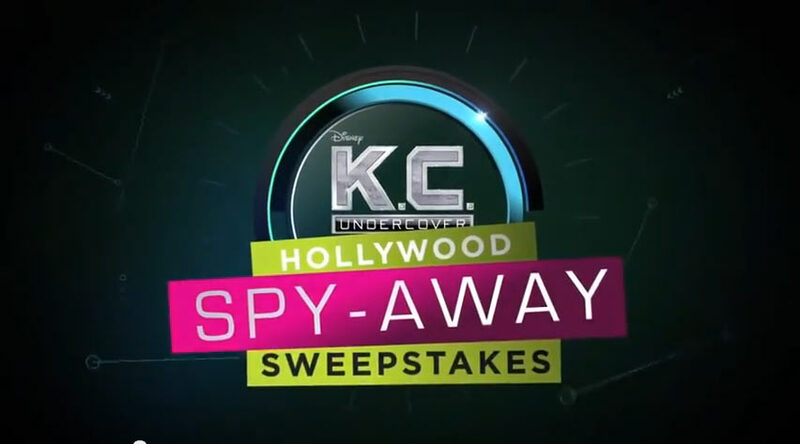 The grand prize, a trip to Los Angeles, CA for four, includes the opportunity for the winner and her/his guests to attend a taping of Disney Channel’s original series, K.C. Undercover, and a chance to meet and greet with Zendaya! The prize also includes a Fashion Angels Darn Yarn prize pack, as detailed above. You may participate between 12:01 A.M. on November 28, 2014 and 11:59:59 P.M. on December 31, 2014. You are allowed to enter once per day, regardless of the entry method, for a maximum of 34 entries during the entire Entry Period. Open only to persons, who are, as of date of Entry, between the ages of six (6) and 18 or a Parent/guardian of an eligible Child, legal residents of, and physically located within, the 50 United States or D.C.
My family needs a vacation! me and my mom need to relax. Omg I can not believe this I’m so glad that you put this out I really want to see you and I love your shows so go kc undercover. i really really love zendayas shows its the best show ever i hope she will pick me. i hope she picks me and i really want to met her. zandeya is the best actor ever thats what i think. Zendaya is really awesome actress and has a really good job. If I ever met Zendaya I would tell her that she is my idol, and I love her very much. Besides we really need some days out of ththe house. i really hope she picks me!!!!! !